Life as a part-time expat in Mexico is like being a rock star. You have two lives, one at home and one on the road. Eventually, both feel like home. Whenever you change your surroundings, whether it's to a new country or a new neighborhood, changing your space helps you demarcate a period of time, making it unique. Even if you aren't ready for expat life just yet, small changes in your environment can open you up to more, perhaps even grander change. The more varied your influences, including those that surround you in a neighborhood, the more creativity you can bring into your life. If you have never felt like a creative person, you should rest assured. Nobody else is either, not really. Nothing is really new. Anything that seems new is a remix of the old, reinterpreted by many influences than can span over decades. The more varied those influences, the more you have to work with as you go about creating your final masterpiece - your life. One of the most negative things about social media is that it funnels our influences. Google and Facebook algorithms determine what you have liked in the past, so they can feed you more of the same. Algorithms deny you the thrill of the hunt, the thrill of discovery. They keep you from stumbling upon anything boldly different from the rest of your feed. If we're going to live creative lives, we have to borrow, steal and re-purpose ideas from a vast range of sources. Nothing gives you a fresh supply of experiences and influences to pull from like living in another country. Since my time in Mexico is part-time, each "tour" easily demarcates itself. Whereas some years of my earlier life have blurred together, part-time expat life has made it much easier keep track of what happened and when it happened, because teaching moments are associated with a distinct tour. My inaugural tour in Mexico I like to call The Currency Confusion Tour. Of all the things that can throw you off at first in a new country, money exchange must be one of the worst. The on-the-spot calculations reintroduced me to feeling stupid (as did learning another language). I'm not afraid of looking stupid anymore (which has probably become obvious to you, dear reader). Not being afraid of looking stupid works wonders in empowering your creativity. We can't start anything new without losing our fear of appearing like a beginner. The subsequent year I call the White Duck Tour (it's a lot catchier in Spanish). Imprisoned by the heat in an apartment (the former El Pato Blanco hotel) on an empty beach taught me that miserable weather is good for completing your art, whatever form that art takes. For me, it was writing a book. Isolation is good for art. My third tour was the Who Are All These Mexicans Tour. At this point, my Spanish had reached a level that speaking it for an evening didn't wear me out (You might say it was my most attended tour!). Life focused more on Mexican friends and those influences. Their dropping by unannounced and other social customs taught me how rigid I'd grown over the years about having concrete plans made days in advance. I decide to change up my act. Most recently I came off the "On To Guadalajara, The Full Immersion Tour." Mexico's second largest city dispersed still more of my lingering misconceptions about Mexico (just when I thought I had things down). Just like Sinatra sang about New York City, if you can make it in Guadalajara, you can make it anywhere in Mexico. Every tour, every new place, leaves a piece of itself with you, giving you new ideas for your next act. People travel or take on the expat life because changing surroundings brings out different qualities in us. How we respond to what a place tells us, or tries to tell us, a little more about ourselves. In Mexico, for example, you can live on or near the beach one year. You can live in a colonial or historical area surrounded by the locals the next. You can live in a suburban neighborhood full of expats near a golf course another year. You can try different cities or towns in Mexico. You can play at a new venue every year in one way or another. Each will teach you something, providing new influences. A renewed sense of creativity from changing things up doesn't limit itself to while you're in your adopted country when you're an expat. Each time I come home, I feel a renewed sense of creativity. The old becomes new again, with new potential. I see things in Denver I'd never noticed before. The sheer contrast between countries provokes fresh ideas of what I want to create next, or what I want to change in myself. I'm also amazed anew by the number of resources available to me in the U.S. We have access to creative ideas at a level unfathomable to people in most other countries. They are spread out before you online, in libraries, even on television if you're willing to root around a bit. People who can be sources of inspiration don't have to live near you. You get very used to using Skype and reaching out on social media when you live in two countries. You can reach out to all kinds of people totally different from you. They also help me keep a sane perspective since they're not living in the U.S., where we appear to have lost much of ours. If one of the best things about living in this age is the easy availability of new sources of inspiration. One of the best things about being this age is that you finally have the chance to create art for art's sake. You can indulge yourself in creating a life that pleases you and only you (You finally get to be Dillon). Creating a rock star life has its exhilarating moments and its painful ones. You're always experimenting, discarding, fumbling, and trying to perfect your performance. While you can never be perfect, the longer you do it, the better you perform. You can't go on tour and take everything and everyone with you. The stage can have only so many moving parts. As an expat rock star, if you ever become one, you will always be on the lookout for those who love you even when they know you have to hit the road and play. Rocker Patti Smith's moving and best-selling book "Just Kids," explores the New York art scene in the 6o's and 70's, friendship and creativity. How Skype can help prepare you for expat life. Most recent: Hey you! Those are some really nice shoes! Kerry Baker is the author of two books. 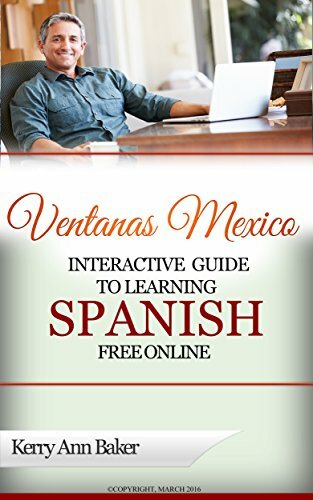 "The Interactive Guide to Learning Spanish Free Online" is a skillful curation of the best free language tools on the web, linked and organized into lesson plans for every level. These are tools buried by Google because they are free and timeless. Use the Guide almost every day to create unique study plans and not get bored. Staying with it is key to learning a language. 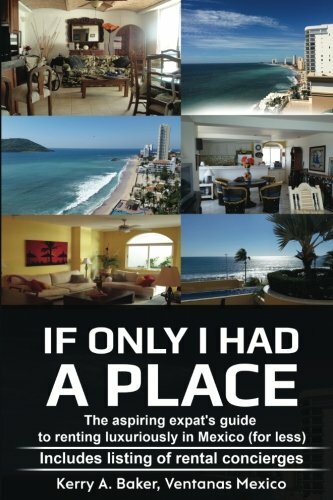 The second book, "If Only I Had a Place" gives you a holistic system of finding a luxurious place for less year after year, along with a sense of what will make you a good expat. The book comes with a listing of rental concierges who can preview places for you and be your eyes and ears from a distance (156 pages).